11 games in and the superstar outfielder has, compared to what people are used to seeing from him, struggled. He’s coming off a season in which he was arguably robbed of the MVP award — I mean, just look. He led the league in home runs, walks, OPS+ and intentional walks. But now, 11 games in, his team is at 6-5 and some fans are kind of freaking out. He’s got a sub-.800 OPS. In a little more than 50 plate appearances and he’s only hit two home runs! Should we be worried? Is he finished? Am I writing about Jose Bautista? No, although all of the above applies to him. In 1959, Mickey Mantle was in the exact same situation. Well, I say exact, but I don’t know for sure what the fans were saying about him. Other than that, it was pretty much the same. Really, check out the stats! Obviously Bautista is not Mantle, but to everybody out there worrying about Bautista: Don’t. It’s way, way too early yet. If you hear people talk about small sample size, listen to them. 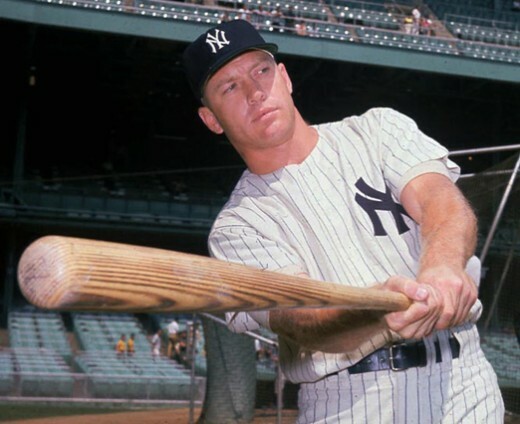 If you don’t want to believe them, remember the above stats — and remember this: Despite his slow start in ’59, Mantle went on to hit 31 home runs and post on OPS of .904. It wasn’t Mantle’s best season, but it was still very, very productive.